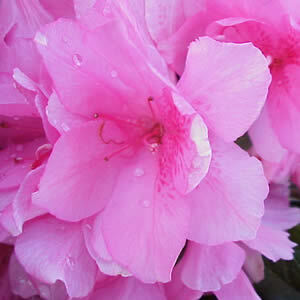 The Pink Ruffle Azalea is a Rutherford hybrid, these are evergreen spring bloomers. Rutherford hybrids generally reach a height of 2-4 feet and do best with afternoon shade. The Pink Ruffle has a pink-violet hose in hose flower with a semi-double bloom.